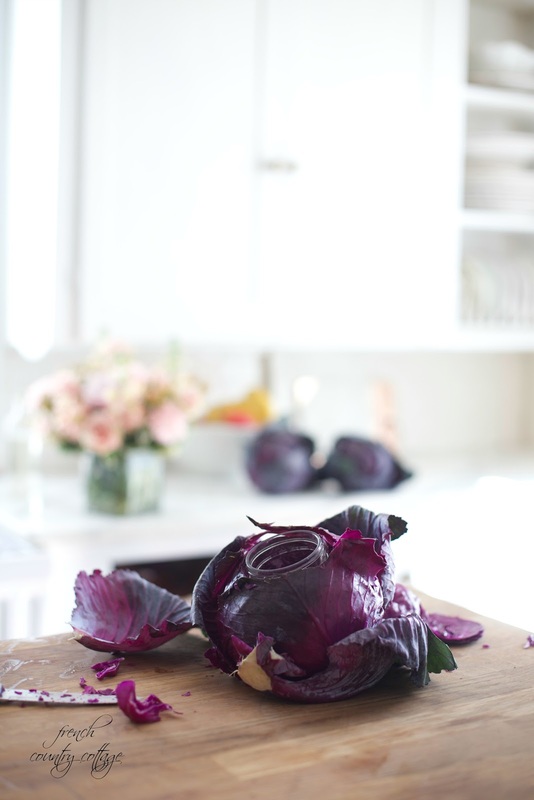 Entertaining: Easy DIY Cabbage Vase ( and a video!) - I rediscovered my love of simple and easy entertaining recently. And it all started with a trio of cabbage. I rediscovered my love of simple and easy entertaining recently. And it all started with a trio of cabbage. Sometimes simple is just perfect. and it is something where the ordinary can be transformed into the extraordinary. that takes your everyday average table to the next level. 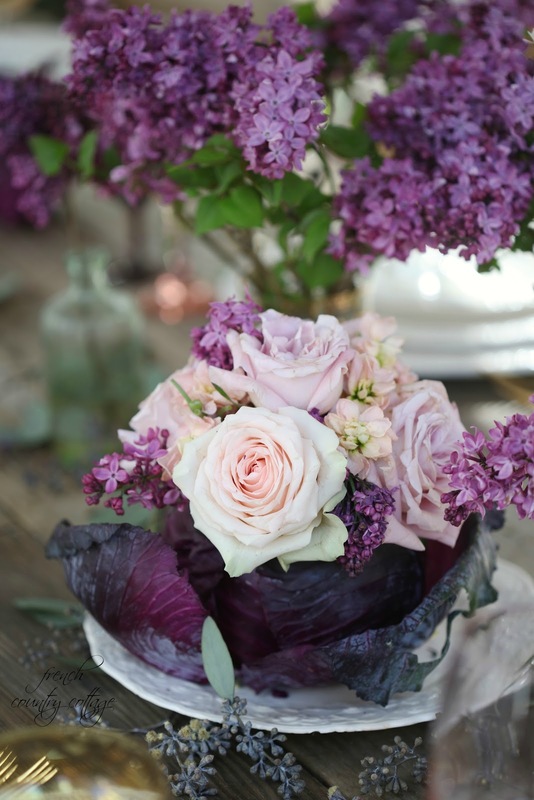 Seriously a cabbage vase is one of the simplest things to create for your next get together. But that was easy as 1,2,3 to create? Oh - and I did make that quick video to share with you. Its a learning process- so bear with me! Honestly you need to have a book out! Your candor and beautiful style will encourage readers to make their home into a more romantic haven. Thank you, as always, for your inspiration and lovely ideas! I love this Courtney! I'm going to try this with green cabbages for my Easter dinner table. I really liked your video. It really helps to see things being made and fun to see you too :) Big fan of your blog and style! Hi Courtney! I really love this flower arrangement. 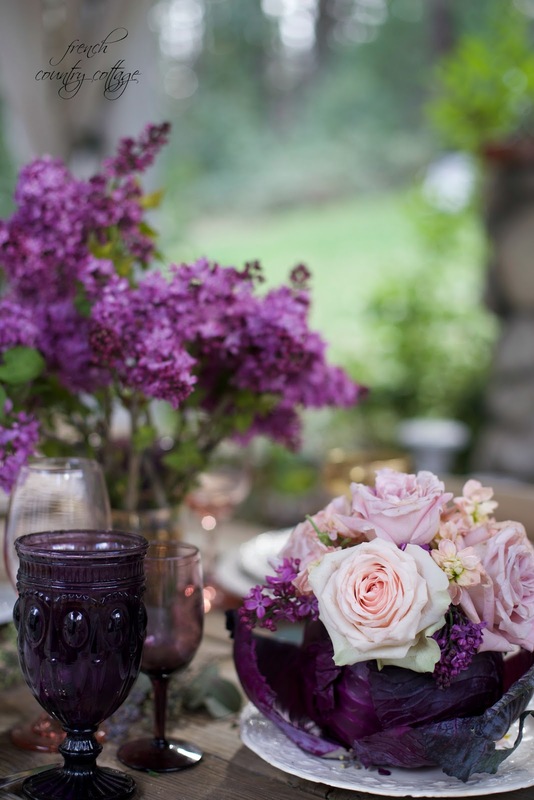 So beautiful and perfect for my Easter dinner table. Also, thank you for showing your video. I really think it helps to see things being made and it was fun to get to see you too! I'm a big fan of your blog and style. That's so clever and it looks beautiful!! Love the video Courtney....and love the cabbage vase....going to have to try that soon!!! Bravo Courtney! 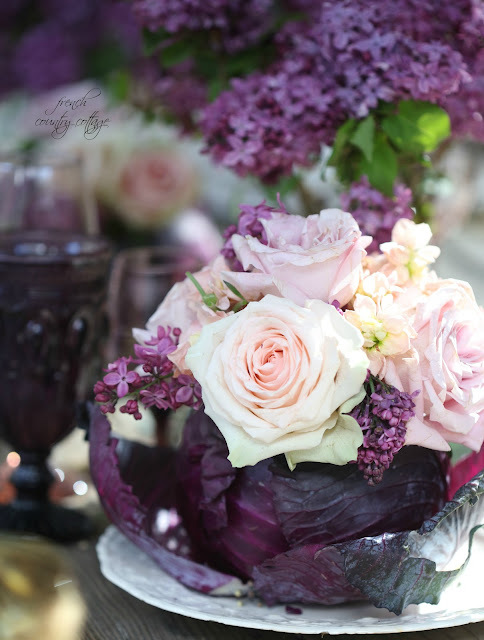 Love the video and the cabbage vase idea! You have a great voice, presence and straightforward style - I think you should have your own show on hgtv! Hi Courtney - It's nice to meet you! I thought you did a wonderful job on the video...thanks, I am doing this for my Easter centerpiece, too! What a lovely centerpiece! Thank you for sharing a simple but gorgeous bright colorful centerpiece for my Easter table. Very clever. I love this and I loved your video! So much fun to see you in action.